Liberating and invigorating professional support! With Coeur à l’Ouvrage, I provide coaching support to free you from your beliefs that drag you down to interact optimally with your professional environment. The purpose is to help you fully take (back) the leading role in your career, by finding meaning and motivation. I offer a genuine professional (r)evolution. Are you ready to change for the better? Ingenious Coach ® DU CŒUR À L’OUVRAGE : my resources, skills, energy dedicated to supporting you, over a defined period of time, are there to help you become the best possible version of yourself. Together, you will go faster, further, higher. I see coaching as creating a secure environment where you learn to take a step back and change at your pace. You are on your way and I am with you to find the right direction for you. I help you become aware of defence mechanisms and set up corrective actions and alternative operating methods that are more suitable and satisfactory. # A framework : The pathway has 5 key stages to fulfil your objectives. My approach is both structured and flexible. I propose a framework tailored to your requirements. # Opening : We meet, I listen to you, ask questions. We look at your needs together. We take stock of the current situation and I help you project yourself into the desired future situation. I share my way of working. You get back to me when you are ready. # Collaboration : It’s a matter of teamwork. We sign a contract. We agree on the purpose of coaching. We co-build our action plan which comprises the major goals and the resources implemented to achieve them. We identify SMART objectives (specific; measurable; assignable; realistic; time-related) and key success indicators. We work together to achieve your objectives. # Pragmatic and solutions-centric : During our sessions, you will come with a problematic situation for you and we will seek to solve it in practical terms. Together we will find possible solutions that you will test. Coaching helps you think about and act in the situation differently and position yourself at a fair distance. We identify your operating and communication mechanisms to transform them, if they are not appropriate. I give you the tools used during the sessions. The end-goal is for you to become your own coach. 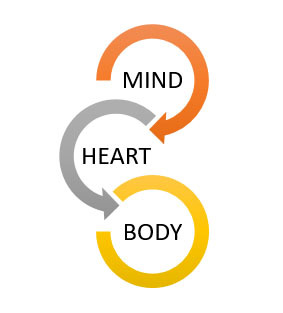 Be aligned to find your power of action! Learn and test the most appropriate and helpful alternative behaviour. 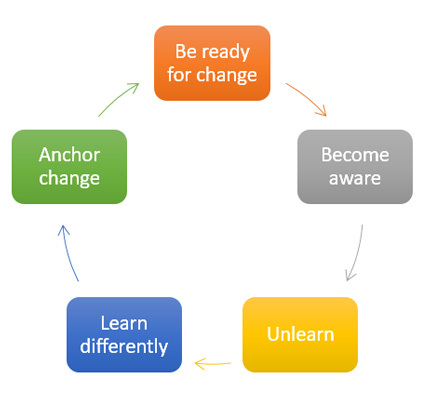 Anchor and cultivate change: Repeatedly bring into play alternative behaviour to integrate it. Coaching, for whom and what for? # Top management is often isolated at the top (MD, CEO, EXCOM, Steering Committee), stressed by issues, while it aims to bring its teams on board, who are losing their sense of direction with respect to their work. # Entrepreneurs and startuppers wanting to channel their energy, make their ideas real and develop their business. # International managers returning to France or preparing to go abroad. # Multipotentialists and makers&shakers, who often feel misunderstood and taken for granted, to help them highlight their singularity and contribute to the company’s diverse range of talents. > Stop procrastinating and act!